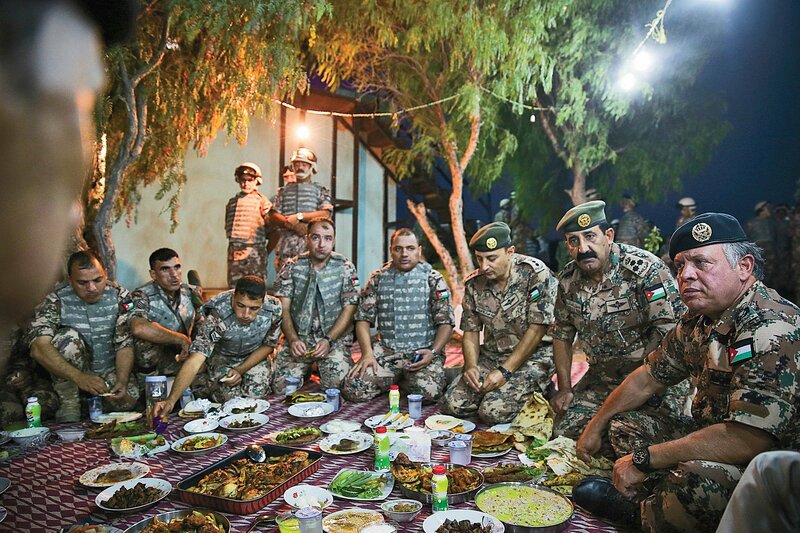 Updated | One of the most storied units in Jordan’s security forces is the Royal Desert Patrol. Steeped in traditions that go back to the British Mandate days after World War I, the unit’s Bedouin scouts, wearing the distinctive red-and-white kaffiyeh headdress and bandoliers crisscrossing their chests, still ride camels alongside sand-colored Humvees as they track down infiltrators coming across the Hashemite Kingdom’s vast desert expanses. By all accounts, they’re very effective at guarding Jordan’s borders, while King Abdullah’s 110,000-strong military focuses on preserving internal order and, of course, his pro-American monarchy. But as the U.S.-led war against ISIS drags on in neighboring Iraq and Syria, there are suggestions Jordan’s military might take on a broader role. In the wake of the gruesome video showing ISIS militants burning alive a captured Jordanian pilot earlier this month, Abdullah has been baying for their blood, sending his F-16s to bomb ISIS training camps, ammunition dumps and other targets without pause. And Jordanian officials say this is just the beginning of operations to eradicate the jihadists. 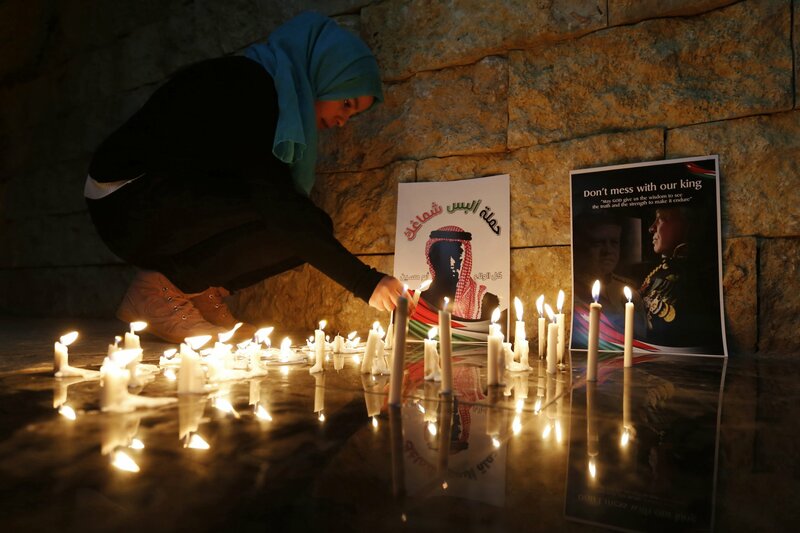 “Jordan's history testifies that we do not forget vengeance, no matter how long it takes,” said Lieutenant General Hussein al-Majali, the country’s interior minister. This marks a dramatic about-face—and what some in Washington see as a badly needed boost for President Barack Obama’s war against ISIS from a valued Arab ally. Before the death of their pilot, most Jordanians wanted no part in the American-led anti-ISIS coalition, and a sizable number sympathized with the group. But since the immolation, Abdullah has taken point in the coalition’s seven-month air campaign against the group, and his tribal subjects have rallied behind him. The young monarch’s response has been so fierce that some in Washington now speculate that Jordan could become the new leader of a Sunni Arab alliance against ISIS and even introduce ground troops into the battle. Meanwhile, Egypt joined the battle on another front in mid-February, sending its warplanes to bomb ISIS targets in neighboring Libya after the group released a video showing the beheading of 21 Egyptian Coptic Christian laborers on a Mediterranean beach. The addition of Jordanian troops into the fray would be a welcome development in Washington, where ground forces remain a highly sensitive topic. Military experts say somebody’s ground troops—be they American, Iraqi or Arab—will be required to prevail against ISIS. Until now, Iraqi Kurds and Shiite militias have been holding the line against ISIS on the ground, assisted by U.S.-led airstrikes. After months of delay, Obama has finally unveiled a proposed resolution that would codify his ongoing use of military force against ISIS. Congress is now debating the resolution, with Democrats opposing American boots on the ground and Republicans willing to give the president broader war powers. Obama stresses he’s not seeking authority for an open-ended ground war, but he’s cautioned lawmakers against crafting legislation that would restrict his options. Some U.S. officials also have suggested that a balanced war resolution might energize Arab members of the anti-ISIS coalition to step up their involvement in the war effort. At the beginning of the bombing campaign in August, Arab air forces flew several bombing sorties, but today their contributions consists mainly of logistical support for the Americans and now Jordan. In their fury over the pilot’s immolation, Jordanian officials haven’t ruled out throwing some of the country’s special forces into the fight against ISIS. They train with their American counterparts and have combat experience in Afghanistan. But it’s unlikely that any sizable Jordanian cavalry will ride to the rescue of Obama’s plodding war against ISIS. King Abdullah can threaten to eradicate ISIS, but his budget and his people will let him take his tribal blood feud with the militants only so far. If such munitions are not being used against urban targets, Rogoway wrote, then Jordanian warplanes are striking only low-priority targets in the middle of nowhere. The lack of precision-guided munitions was on King Abdullah's mind during his recent visit to Washington. Obama increased aid to Jordan by $340 million to $1 billion, but the increase covers both military assistance and additional funds to pay for housing more than 1 million Syrian and Iraqi refugees. And that raises questions about whether Jordan can sustain an effective air campaign. Pat Lang, a former Middle East analyst for the Defense Intelligence Agency, notes that any extensive use of Jordan’s regular ground troops against ISIS would cost far more than the country can afford and require major logistical support from a well-heeled ally like the United States. So it’s doubtful they will see action, even with popular support for King Abdullah’s stepped-up bombing campaign still strong. The king knows that there are limits to the public’s enthusiasm for revenge and that the longer the fight against ISIS drags on, the greater the likelihood that the mixture of support and ambivalence that many Jordanians felt toward ISIS will resurface. It’s worth remembering that before the pilot’s immolation, the trending hashtag on Jordan’s social media was #thisisnotourwar. Last September, a group of nearly two dozen parliamentarians sent a letter to the monarch, arguing that Jordan had no reason to be in this fight. The Muslim Brotherhood and the country’s more conservative Salafist leaders publicly opposed Jordan’s membership in the anti-ISIS coalition, branding it as yet another Western-led effort against Islam. Even moderates argued that Jordan’s involvement in the war would only provoke retaliation and draw the war into Jordan. A September poll shows that a mere 62 percent of the general population regarded ISIS as a terrorist group. The same poll found that only 31 percent of Jordanians regarded Al-Qaeda’s Syrian affiliate Jabhat al-Nusra as a terrorist group. Such numbers reflected strong Sunni sectarian identification among Jordanians and their deep antipathy toward Shiite Iran and its Alawite and Hezbollah proxies in Syria. What increases the chances of the Jordanian street turning in favor of ISIS and Jabhat al-Nusra is the country’s shaky economic situation and the continuing slaughter of Sunnis in Syria. With the exception of some potash and fertilizer exports, Jordan subsists largely on foreign aid and remittances. Since the Syrian civil war began four years ago, nearly a million Syrians have sought refuge in Jordan, on top of nearly a quarter of a million Iraqis who have fled the fighting in their country. Their combined presence in Jordan has driven up the price of housing and the competition for jobs. Unemployment in Jordan last registered at 25 percent. And that leaves a lot of young men—and increasingly some women—susceptible to the call of jihadi recruiters. Jordan has been in a similar spot before. A 2005 poll showed 61 percent of Jordanians supported Osama bin Laden. Later that year, the Al-Qaeda affiliate in Iraq bombed three Western hotels in Amman, killing and wounding 175 people. By 2010, support for bin Laden had plummeted to 13 percent. But by 2014, significant numbers of Jordanians had transferred their sympathies to ISIS and Jabhat al-Nusra. To be sure, the burning of the Jordanian pilot has stanched those sympathies for the time being. But if the past is any guide, Jordanians do, in fact, lose their taste for vengeance, and such sympathies are bound to resurface, putting their country in play once more.